The reason belt covers are needed so much is protection. However, unlike car seat covers and protectors, it is not the belt that needs protection. Seat belts are durable. 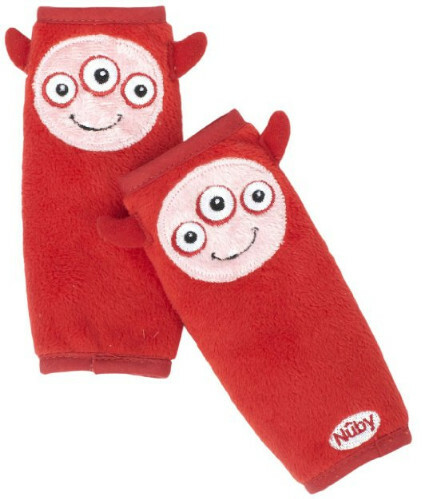 It is very hard to make them dirty, and even if you child somehow manages to stain them, they are very easy to clean. Even if, somehow, it will be impossible to salvage the seat belt, they are some of the cheapest parts of a car seat, regardless of its type. So no, seat belts do not need protection. The neck, on the other hand, does. Ideally, the seat belt should not rest over the neck. This is extremely dangerous, especially for a little child. As a matter of fact, this is why booster seats exist. However, even if the belt goes over the shoulder as it should, it is still in contact with the neck. That means it can gradually rub it raw. That would be more than a simple inconvenience even for grown-ups. For children, however, that might be plain torture. A belt cover prevents that from happening. Seat belt covers are usually very soft and do not rub against the child’s skin. 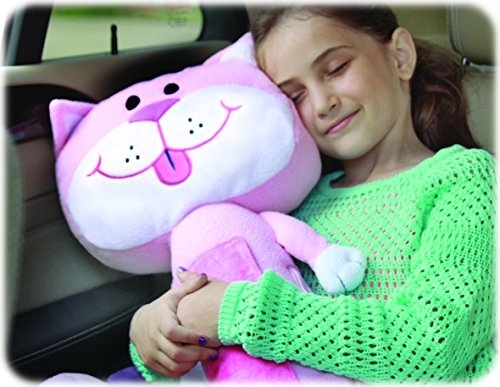 They are also rather comfortable and can be a good thing for sleeping while in the car seat. At first, the answer to that seems obvious, to the point the question itself does not sound sensible. Is that really so? Let us find out. The first thing that matters is that a belt/strap cover is usually very soft. That is, perhaps, exactly what you were thinking of and it is indeed true. But it is not limited to that. The problem with seat belts is not that it is not soft or comes in contact with the neck. The problem is that it is the edge that contacts the skin. A belt cover, however, is always rather big and has no edges. What happens? The seat belt cover redistributes the pressure of the seat belt. As such, the pressure is significantly reduced, and the seat belt no longer irritates skin. In short, a belt cover is a cushion of sorts. What does it mean for you? You can easily make a belt cover on your own if you have a lot of free time and some handcrafting skills. If not, you can always just buy one. A belt cover is simple enough of an object to buy it without any guidance. They are cheap and if you do not like the end result, you can simply get a new one. That said, there are still factors worth consideration when buying a seat belt cover. Installation simplicity. Seamless covers or even simply whole ones surely look great and stylish, to say nothing of the fact they will not just come off, however, they are very hard to install, which makes them somewhat less practical than covers with Velcro straps. Many homemade belt covers are rather hard to clean. The reason for that is mostly the materials that have been used. However, even if the materials themselves are waterproof, the way they are attached might be the weak link. Not the same as the previous paragraph. Some materials are allergenic, some are hypoallergenic, and some just are not. Naturally, seat belt covers made of non-allergenic materials are preferable. The safety is even more important. We only recommend using phthalate-free covers. There is no need to worry too much about those factors (with the exception of materials). Covers are indeed very easy to replace. 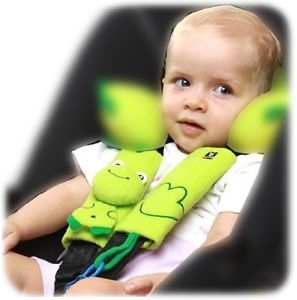 Strap covers are not only suitable for children in general. Not in this case. The Nuby Strap Covers’ design is intended for children only, the younger, the better. This is quite obvious based on how they look like. But the looks are not the only thing there is to them. The Nuby covers are extremely easy to install since the come with Velcro closures. Making adjustments, in case that is needed at all, will be easy as well. The covers are an easy fit, thanks to the Velcro, and will be suitable not just for straps and seat belts but also for bouncers, strollers and the like. They are padded, which is already a good thing in its own right, but an even more important fact is that they are covered with very soft fleece fabric, a perfect match for sensitive skin. These cover may not be the easiest thing to clean but they are machine-washable at least. The covers are very cheap and could easily afford a spare right away. Unlike the other products in this review, these cover should be a good match for the adult passengers as well. As for the children, the covers will be a good supplement to a booster seat. The design of these covers is rather classic. You should not expect cartoon characters print, toy-like outlook or anything of the sort. The pads are austere and look like an organic part of the seat belts. The package includes two seat belt covers. Both are quite easy to install thanks to the Velcro closures. Ten inches and a half long, they are especially comfortable for long rides. 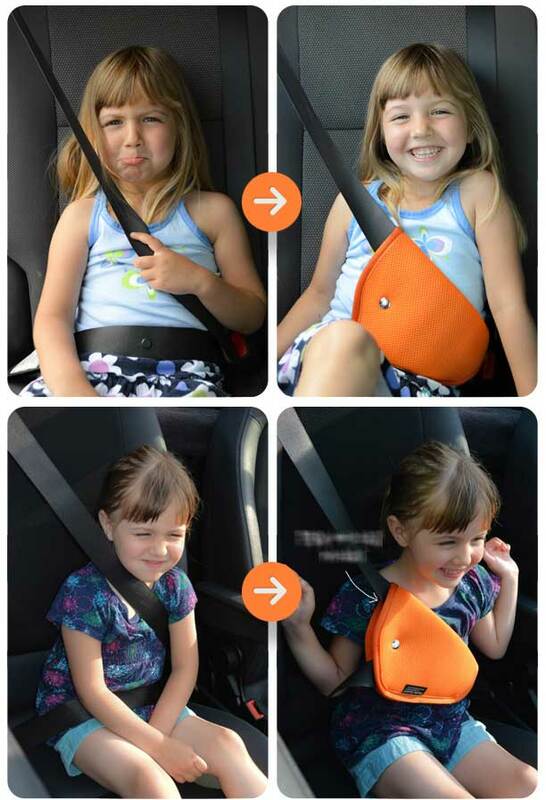 Not only do they protect your children’s sensitive skin from the seat belt, they also double as very comfy cushions. The covers are made from velvet fabric and sponge, which part of the reason they are so comfortable. On the other hand, a damp cloth will not suffice for cleaning the, but you can wash them whenever you feel like it. 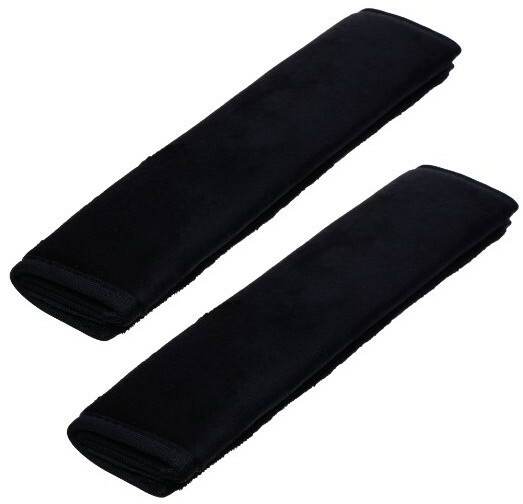 The BCP belt covers are not particularly expensive but most other seat belt covers are cheaper. These covers will be a perfect match for rear-facing seats and forward-facing seat with a harness. It is not even about the size, although it is rather important, but the designs. They are most suitable for very little children. 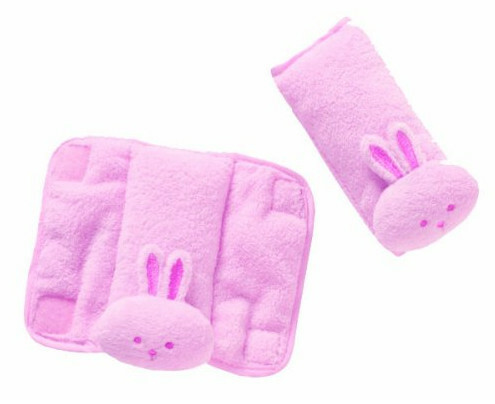 The covers come in three designs: pink bunny, blue cat, and tan bear. The CushyStraps are super fluffy. Made of velboa fabric, there is no chance they will irritate your baby’s skin, which is definitely a good thing. They are also padded, of course, more so on top of the shoulder for extra comfort. Installation is just as simple as with any other strap cover. The Velcro straps make it fast and easy. The covers are also machine washable so you should not have any problems with cleaning. Because of their designs, the CushyStraps can double as a decoration. They can be applied to harness, seat belts and backpack straps. The price is very low.